Planet Thrive » Super shakes! 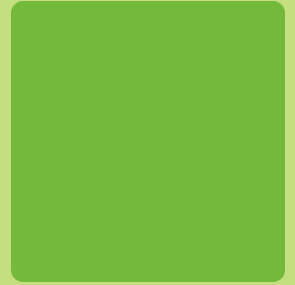 I love green smoothies. And brown ones even more – now that I discovered the joy of mood-boosting raw cacao powder! My ingredients are almost always the same, but I might switch things up a bit depending on what I have on hand. The base is always a homemade almond milk made by soaking the almonds overnight in water, removing their skin, blending with water, then straining to separate the liquid “milk” from the “almond meal,” which can be used later to make delicious cookies or a sweet desert with fruit and drizzled honey. To that I add one date that has been soaked in water for about 10 minutes to soften it, then chopped. The date adds sweetness so if you don’t want the extra sugar, you can forego it. Two fresh bananas (or use frozen bananas if you want a cooler drink) add the neurotransmitters dopamine and serotonin to the mix, along with vitamin B6 and other important nutrients. I always add a tablespoon of cold-pressed flax oil for my omega 3 fatty acids, and a handful or two of sunflower sprouts for protein. 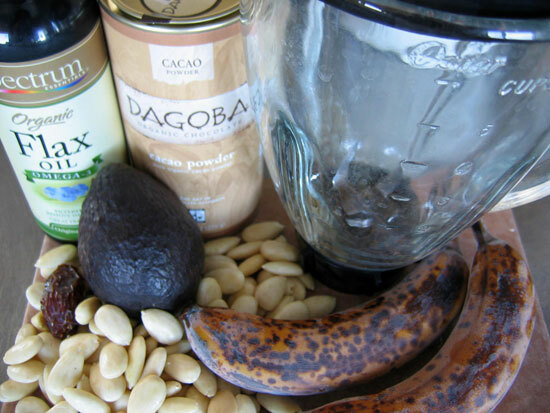 Then comes two heaping tablespoons of raw cacao powder – I currently am using the Dagoba brand but will be trying Nativas Naturals when I run out. 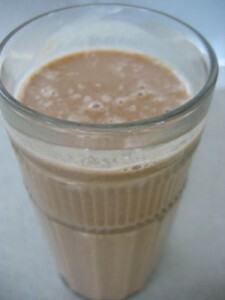 One week I did not have any sprouts so I used an avocado to add thickness, fiber, and healthy fat to the shake. 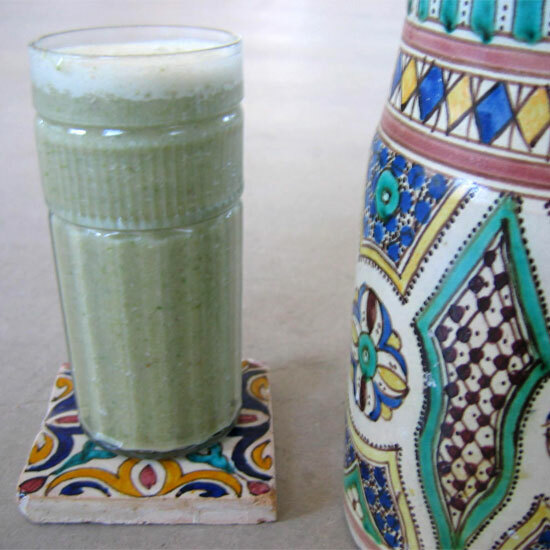 It tasted really incredible and the smoothie lifted my mood and kept my energy up all day! For my last shake experiment I used both the sunflower sprouts and the avocado plus all the other ingredients and it was still absolutely delicious, filled me up for many hours, and put me in a good mood. Note: If you use sprouts and don’t strain the drink, be careful as you sip – expect some small bits and pieces in your glass. I don’t mind the added texture because I know sunflower sprouts are packed with protein and I prefer not to strain out the nutrients. To make the almond milk, soak your almonds in a glass bowl with about twice as much water to allow for expansion overnight. Cover with a glass plate. I usually put these out to soak right before I go to sleep and then make my shake when I get up the next morning. 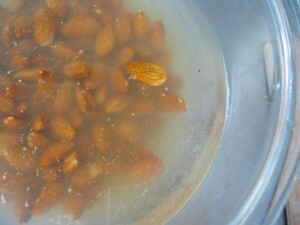 After soaking, remove the almond skins. They will come off easily – be careful the slippery almonds don’t shoot out across the room! Put into a blender with about twice as much water and blend to a fine meal. 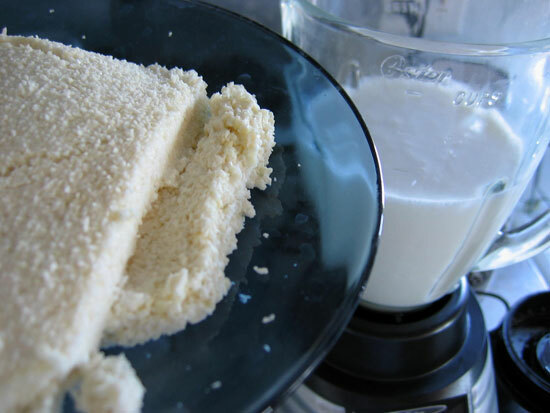 Strain out the liquid and save the almond meal for later use in the refrigerator. If you want exact measurements for the almonds and water, do a Google search for “how to make almond milk” to find lots of recipes. I usually just wing it, myself. Serve and drink right away. Yum! Julie moved to the high desert in the White Mountains region of northeast Arizona in 2008 after a challenging journey with chemical sensitivity that took her from New York City to Long Island, NY, then to south Florida, and now the American southwest. It was a difficult transition for this NYC girl, with its weather extremes in every season, rural solitude, and distance from loved ones. Join the founder of Planet Thrive and co-founder of re|shelter as she makes a life in a neighborhood where over fifteen others with severe environmental intolerances have settled, and discovers a true pioneer spirit she never knew she had. She shares her simple, easy approach to eating - combining crockpot slow cooking with Nourishing Traditions food prep and mineral-rich raw juices - and the non-toxic personal care products and life-embracing daily practices that have put her on the path to recovery. In 2013, Julie improved enough from environmental illness through brain retraining and EFT practices to move to Sedona, Arizona where she has access to more cultural events, community, and health care. Please note: This content is not intended to diagnose, treat, cure or prevent any disease, condition or symptom. All material in this column is provided for general information purposes only and should not be considered medical advice or consultation. Always check with your personal physician when you have a question pertaining to your health and healthcare.